Hey Book Lovers and All! So in regards to my 'small changes' post (you can read it here), I'm not going to stress myself out by trying to reads lots of books during the months I still have college. I'm still going to continue with my 'To Be Read' posts but I'm only going to mention two books I know I really want to read that month. One book you can expect me to read each month (which I won't be mentioning as a main read) is the Percy Jackson books. As you may know, I am currently buddying the book series with one of my friends, so at least one of the percy jackson books will be on my monthly TBR and so I don't feel the need to mention those books within this post! (If you'd like to read about Ellie and I's Buddy Read, here's the post). I kid you not, I just can't stop watching mini clips from the movie 'Room', I think I'm obsessed but I just can't let myself watch the film before I read the book, so 'Room' is definitely on my April TBR and I can't wait to get in to it, although nervous. Nervous, because this would be one of my first adult fiction reads and I don't know, it intimidates me but hopefully I'll enjoy this one (maybe it'll introduce me to a new genre!?). 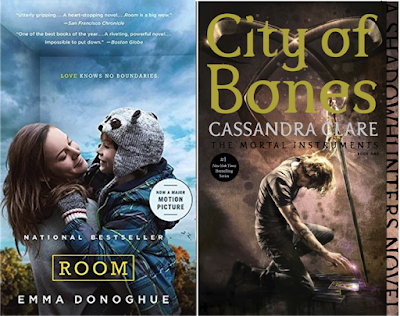 I want to give the Immortal Instruments another shot, I'm embarrassed to say I only made it to 'City of Ashes' and then gave up. 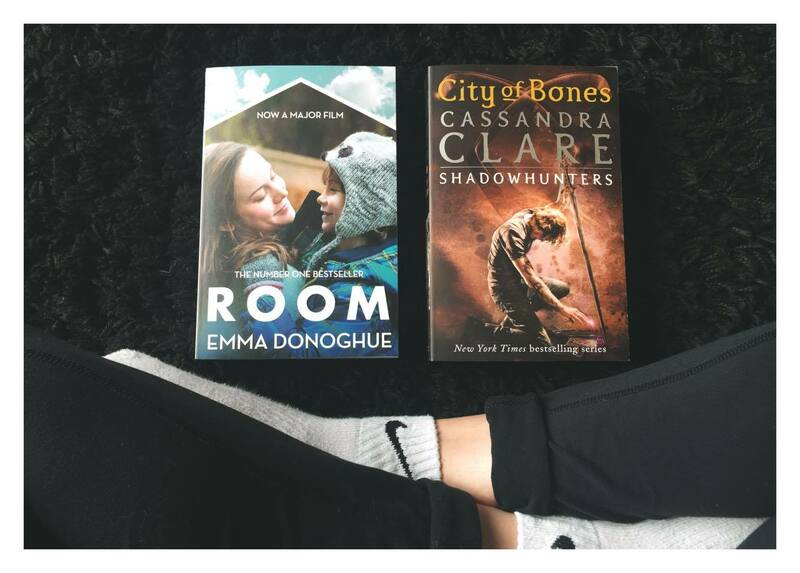 I have also heard that the series picks up in 'City of Glass' and that was the book I had to read next but just gave up too soon but hey, I'm trying again. I thought I'd start from the beginning again as I hardly remember anything from the first two books and I want to read it this month so I can TRY and catch up as much as I can this year with all the Cassandra Clare books and as you may know, there is a LOT of Cassandra Clare books. These are the two books I want to read this month and I can't wait! (Also I tried to describe what happens within these books without spoiling but it turns out I'm rubbish at writing my own synopsis, so I deleted them - Maybe next time? ).